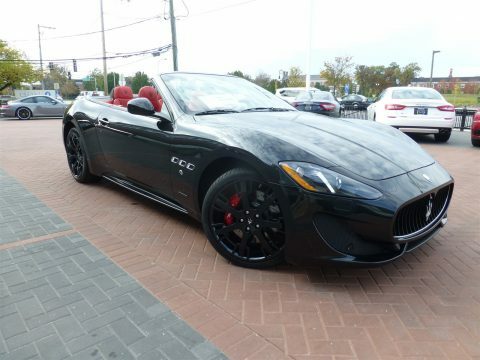 JUST IN, A STUNNING NEW 2016 GRANTURISMO CONVERTIBLE SPORT! NERO CARBONIO WITH ROSSO LEATHER AND BLACK CARPETS. OPTIONS INCLUDE HI GLOSS BLACK PIANO WOOD TRIM, BLACK STITCHING INCLUDING TRIDENT HEAD RESTRAINTS, ALUMINUM DRIVING PEDALS, DRILLED SEATS, GLOSS BLACK NEPTUNE RIMS, RED CALIPERS, RED CARPET MAT PIPING AND ROSSO SEAT BACKS.